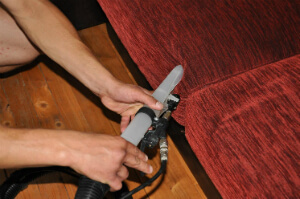 On mandatory, rely on the educated and skillful Euston NW1 upholstery and sofa cleaners. RA Sofa Clean has chosen only big advantages in residential and commercial sofa and upholstery furniture maintenance. The skilled cleaners are insured and vetted. They follow the basic concepts in effective and safe cleaning. We also offer regular pre-qualification classes for our teams in order to be always up to date to the recent and newest tendencies in cleaning industry. No stain can scare us and even the dirtiest or the oldest sofa is accepted by our professional company. We can remove all types of spots, including oily or machinery oily spots, spots made of glue or paint after home redecoration and renovations, red wine, blood, grass, ink, mud and etc. Besides, our best rated Euston NW1 sofa and upholstery cleaning company accepts all types of furniture: chairs, seats, stools, dining chairs, divans, sofas, antique and decorative upholstery and etc. We have the right formula for any sofa or upholstery material: silk, linen, wool, suede, leather, acryl, viscose. Dear customers, we are happy to tell you that RA Sofa Clean is always generous with special deals and discounts. Please note that if you order our high quality upholstery and sofa cleaning service in Euston NW1 with other service, you will get the second one on half price. We recommend you our expert mattress cleaning procedure on a budget. We can add bed bug treatment to it. The process is 100% child-safe and environment-friendly. We use UV lighting system to disinfect and to kill the microbes the fibres without making you wait for the mattress to get dry for a long time. Use this phone number 020 3746 5234 at any convenient for you time! Get a free quote now or make a direct reservation for our affordable sofa and upholstery cleaning service in Euston NW1!